They're really reliable. 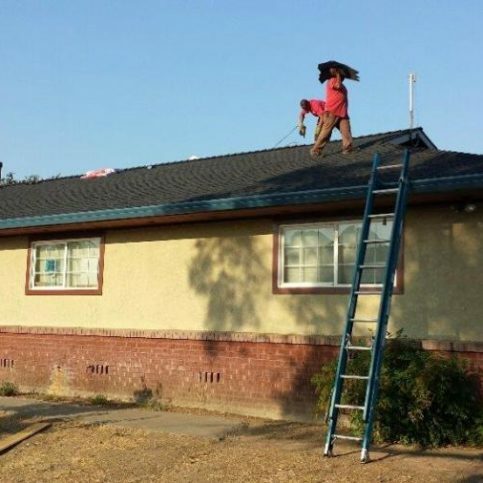 If there are any problems with the roof, like a leak or something, they come out and do the repairs, sometimes at no charge. There have been many times when I call them out to do quick fixes, and they're just there for me. I liked their communication, because I have had issues with other companies in the past regarding communication. 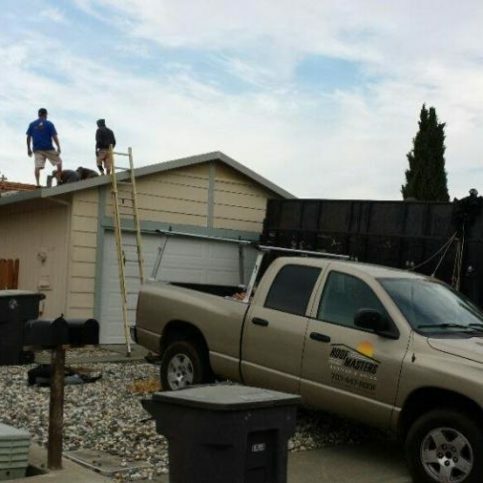 We have had no problems with them, and they're our go-to roofers. I would recommend them. They are kind, courteous, and seem to really love the work. They are so flexible. I have a busy schedule, and they were able to work with that. They were on time, they cleaned up after themselves well, and they were very professional. I would say I liked the communication between the salespeople, workers, and myself. They always kept everyone in the loop. 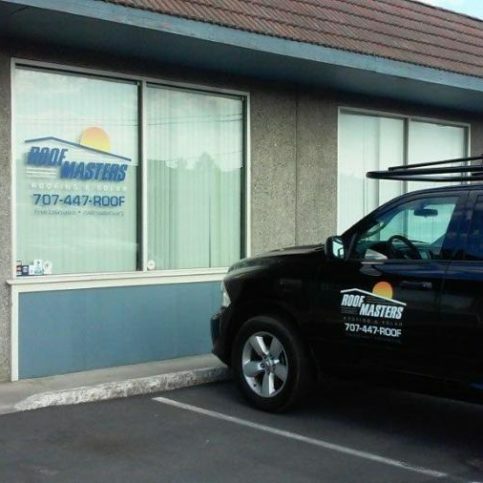 Roofmasters / Bird Control Services installs, repairs, and maintains all types of roofs for residential and commercial clients in Solano, Napa, Yolo, and Central Contra Costa Counties. In addition to its wide-ranging roofing capabilities, the family-owned and operated company offers bird control services, repairs dry rot damage, installs ventilation and insulation in attics, and more. 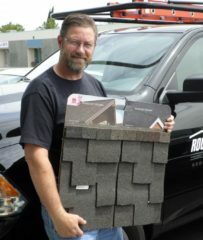 Owner Aaron Weiss holds a roofing sample in front of one of his service trucks. "We treat our customers the way we'd want to be treated, and we do everything in our power to make sure they have positive experiences. 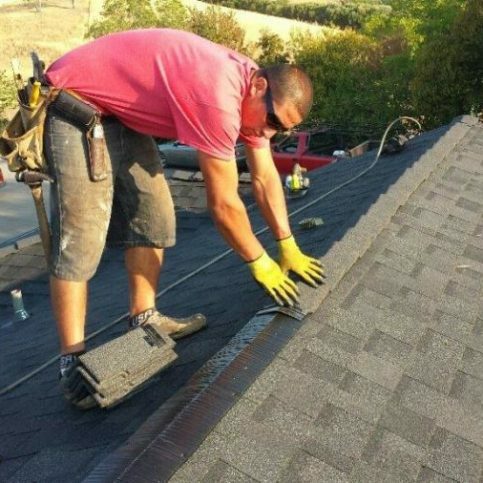 We provide the same high-quality services throughout the entire roofing process, and we're always available to answer questions and give advice." 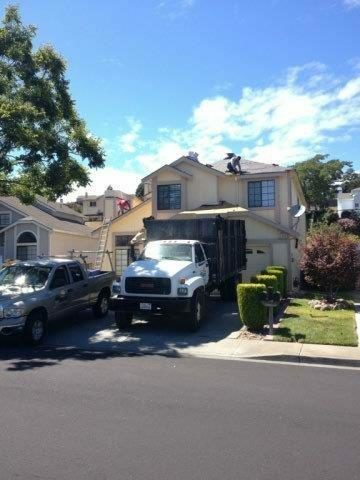 Roofmasters / Bird Control Services has been installing, repairing, and maintaining roofs for residential and commercial clients in Solano, Napa, Yolo, and Central Contra Costa Counties since 1993. The family-owned and operated company is also qualified to provide bird control services, repair dry rot damage, install ventilation and insulation in attics, and more. 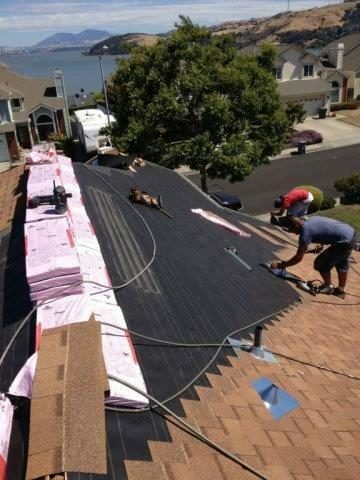 There are a couple of ways to go about achieving energy code compliance, one of which is to install a “cool roof.” Consisting of highly reflective roofing shingles, a cool roofing system significantly lowers solar heat transfer into a home’s attic and, subsequently, the home itself. Not only do cool roofs meet Title 24 energy efficiency standards, according to the Cool Roof Rating Council, homeowners who install them stand to save an average of 7 to 15 percent on home cooling costs. Another way homeowners can satisfy Title 24 requirements is to improve the insulation and ventilation of their attics. For many, this is a more affordable option for achieving code compliance, and it provides added benefits of lowering temperatures in the home and extending the life of the roof. 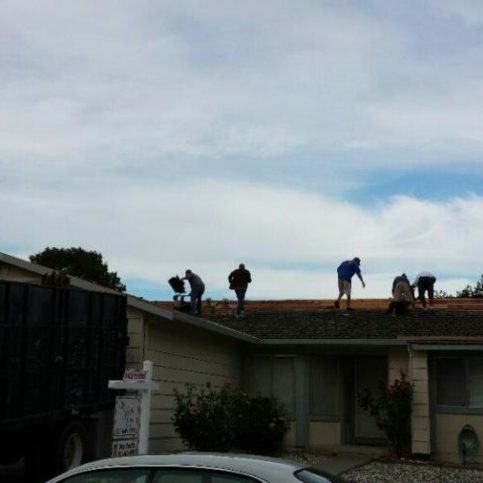 Plus, it allows homeowners to install any type of roof system they want. Regardless of which approach you take, bringing your home up to current energy efficiency standards will make it code compliant and provide several residual benefits that you’ll continue to enjoy long after the initial expense. A: Due to the complexity involved in roofing, we’re unable to give estimates over the phone. However, we’d be happy to schedule an appointment to come to your home and provide a free estimate. Q: What types of roofing materials do you use? A: We’re certified with Owens Corning, so that’s the main manufacturer we use. However, we can install any roofing material you want, as long as it’s available in the regional area. Q: When the job is finished, will you bring me up on the roof to do a final inspection? A: Unfortunately, due to liability reasons, we can’t let you do a walkthrough on the roof. Instead, we’ll take pictures and show you what we’ve done. 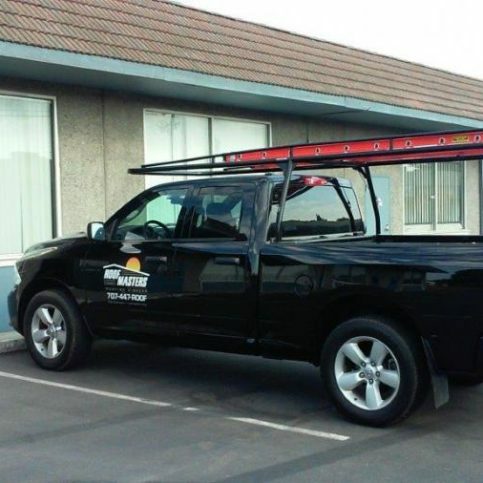 Q: Can you install solar systems? A: Yes, we’ve recently added PV solar panel installation to our repertoire. Q: Can you provide proof of insurance? A: Absolutely. Before work begins, we’ll give you a packet that contains copies of our liability and workers’ compensation insurance. 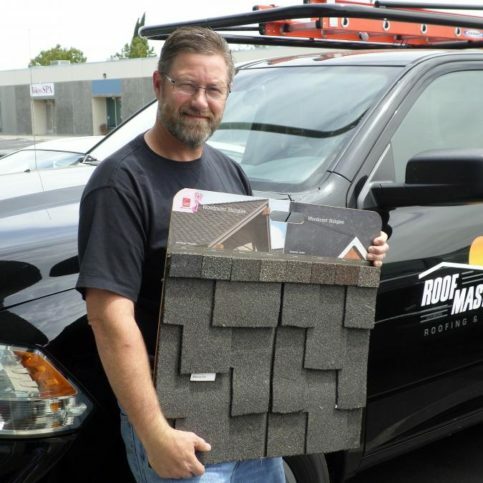 Aaron Weiss is a 31-year veteran of the roofing industry and owner of Roofmasters / Bird Control Services, a Diamond Certified company. He can be reached at (707) 200-1301 or by email. A: Fall—I like the wind-down from summer into preparing for the holidays. A: Probably Germany. I’m part German, and I’d like to see some of the castles and other architectural features they have. A: An early bird, but not by choice! A: I played football as a defensive tackle. A: Thanksgiving—it revolves around family, but you don’t have all the commercialism that clutters a lot of the other holidays. 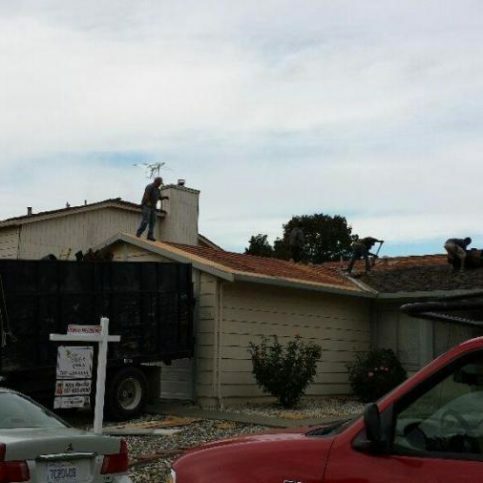 SUISUN CITY — Few homeowners realize how much damage birds (especially pigeons) can cause to a roof. The acidity of bird droppings can cause extensive damage to roofing materials, resulting in leaks and other issues. On tile roofs, buildup from droppings can cause water (as well as the droppings themselves) to dam up and be diverted beneath the tiles, which creates excessive saturation and/or deterioration that leads to leaks, mold and dry rot. Given enough time, bird droppings can even corrode through metal gutters. An even greater concern is the health risks that can arise from exposure to bird droppings on your property (again, particularly with pigeons). Salmonella, E. coli and Histoplasmosis are all associated with exposure to bird droppings. Histoplasmosis is a serious respiratory infection caused by breathing in spores from a fungus found in bat or bird droppings. The disease can be fatal, especially to young children and people with compromised immune systems. Due to the risk of inhaling airborne spores, you should never handle or attempt to clean dry bird droppings without taking proper precautions. Always keep small children and pets away from nesting materials and droppings. To avoid the damage and health risks that birds can bring, take measures to keep them off of your roof. Solutions include bird repellent gel, which deters birds by making their roosting areas sticky and gooey; bird spikes, which can be installed on rooftops, rafters, gutters or any other area where birds roost; stainless steel bird netting; and electric track, which, like an electric fence, gives birds a shock when they attempt to roost. By incorporating one or more of these bird control solutions, you’ll be able keep birds at bay and protect your roof and your family. 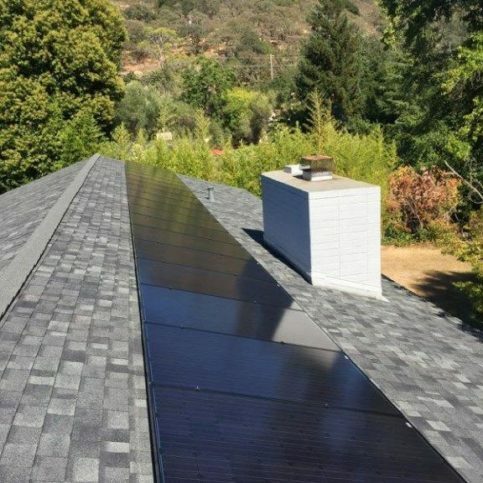 SUISUN CITY — Until recently, many California residents have been hesitant about installing solar energy systems due to the costs involved. However, with the various government programs in force today, there’s never been a better—or more affordable—time to go solar. First of all, California homeowners who install solar are automatically eligible for a 30 percent tax credit, which covers a substantial amount of the total cost right off the bat. Also, there are several good financing programs available, both government-sponsored and otherwise. For instance, the recently launched Property Assessed Clean Energy (PACE) program enables homeowners to finance solar systems with no upfront costs. 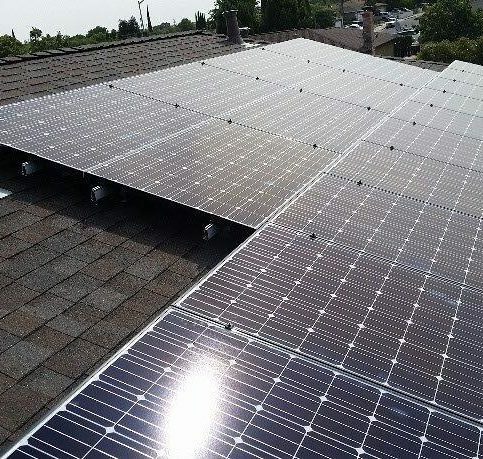 What’s more, PACE offers additional financial perks such as letting homeowners deduct their solar system payments from their property taxes (since the system is considered part of the property). However, keep in mind that these government programs won’t last forever. For example, the 30 percent tax credit that’s currently offered may expire as early as 2016. So, don’t wait—contact a solar installer soon to take advantage of these financial incentives and reap the rewards of going solar. SUISUN CITY — Host, Sarah Rutan: Due to the number of financing options and government incentives available, there’s never been a better time to install a solar energy system. Today we’re in Suisun City with Diamond Certified Expert Contributor Aaron Weiss of Roofmasters / Bird Control Services to learn more. Diamond Certified Expert Contributor, Aaron Weiss: So, I’d like to talk about solar – rooftop solar. A lot of people have been afraid of the cost of solar, and not certain that it’s worth it financially. Now, the way programs are set up, and some of the government help that you can get, it’s a great time to do solar. The government will, right now, give you a thirty percent tax credit when you install solar on your house. So, essentially, that helps you pay for a substantial amount. Now, those – that is going to expire, potentially, at the end of year thousand sixteen – 2016. However, right now you can get solar, have a large portion of that covered by that thirty percent tax credit. Also, there’s great financing programs out there. There’s also programs that are government sponsored, that will help you take the price of solar and put it into your property tax. Those are great programs. Those are programs that help you not have any initial upfront cost, and you can save money immediately. Roofmasters / Bird Control Services : Average 9.2 out of 10 based on 150 unique customer surveys of customer satisfaction. I would use them again. They did a good job, and they are nice people. I think the men who work for him are super. They do a good job. I have been using them for years, and I have been very satisfied. I tell my clients that they are very responsible and honest. They took care of the job that needed to be taken care of, and I don't need to worry about it being done right. I would just say that they did a good job for a fair price. I would say their timeliness, and they were able to get to the job quickly and get it done. I think they are very knowledgeable and reliable. These guys are good. They showed up when they said they would, and they did all of the work they said they would do. Their prices were very fair. I had a level of confidence with them, and they knew what they were doing. I would use them again without question. They did a good job for me. They were on time and everything. They do a good job, and they are decent people. They did a good job, and they are courteous. 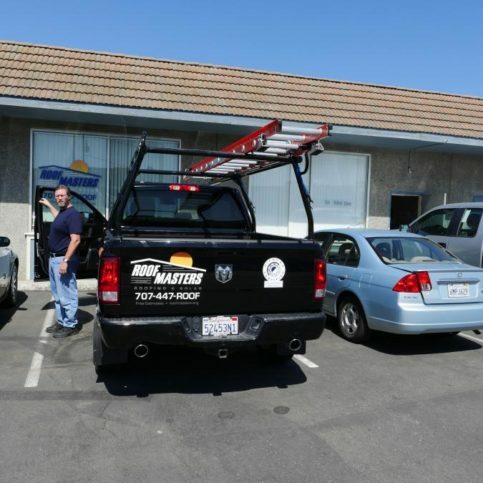 They do great work, they stand behind their warranty, and they show up on time. I have referred them, and I will continue to refer them. At the time I called, there was a lot of damage to people's roofs due to the weather. They are one of the few companies who could take me sooner rather than later, but I still had to wait. They showed up when they said they would. They did a good job on our roof. We were very happy. They did high quality work, they were reasonably priced, and they were responsive to my requests. They delivered what they promised, they answered all of my questions, and they cleaned up well. They had a very clean crew. They were the best price, easy to work with, very easy to schedule, and they were very fast at getting the job done. I couldn't be happier. Hard to say, I guess, the price, and they were very efficient and got the job done quickly without any problems. Use them. They are good people. I liked their crew. The owner, Aaron, was knowledgeable, friendly, and honest. Marty and his crew were honest workers and good guys. They took care of us at every turn. I would say absolutely everything positive that I could about them. They are informative, professional, and they answer my questions to the fullest. They know what they are doing, and they explain what they are doing. I don't happen to be a roofer, so they explain things in a way that I can understand. They are patient with any questions I may have before, during, or after a job. I have been using them for the past six years. I won't consider using anyone else. They're so good. Every time my roof needs help, it is at an age where it needs repairs every so often, they have been very good, and the cost is reasonable. Their work has been excellent, and they are always able to let me know the cause of the leaks and repair them. They are very helpful and very efficient in the work that they do.